Our family loves to read, but one thing that is lacking in our reading repertoire is a good dose of classic literature. Do you have the same problem? Every summer I have instituted some sort of reading program. My boys have always loved this, and would often be lost for hours in a grand adventure or thrilling mystery. 1. Money. I paid a penny for each page read, and after they turned in a brief (one page/100 word) book report they could collect their earnings. Throw in a buck if they list and define ten to twenty unfamiliar words from the book. 3. Treats. Movie night with popcorn, mini-golf, favorite dinner, home spa or make-over for girls. Foot massage machine was unbelievably popular. I wonder if we still have that in the basement? Individualized coupons, date night with daddy or mom, afternoon tea, no chore day…so many options. 4. Praise. Never cease to tell your children how proud you are of what they have accomplished. Enthusiastically cheer them on. Leave them little notes of encouragement. This will motivate them way more than any other incentive, I guarantee it. If they read an hour or more a day, I estimate they will accumulate about $100 each. But whatever the pay off, they will be prepping themselves for higher learning, and gain a priceless addition to their education. Institute for Excellence in Writing Student Writing Intensive Level B is the first real writing curriculum I bought brand new for my children’s homeschool writing instruction. I started out a frugal homeschooler and made my own unit studies, borrowed library books, and only purchased second hand curriculum found at used sales. Fast forward seven years. I have graduated my first student from twelve years of homeschool education and I can now brag. I’m seasoned, a veteran, an experienced homeschooling parent, so listen to my wisdom. One important thing I have learned over the years is when it comes to curriculum, free, used, or cheap is worth exactly what you pay for it. In the early elementary years “cheap” may work fine, but when you are laying down the foundations for writing, be choosey and don’t pick something haphazardly or secondhand – you will regret it later. I was eager to do this review of Student Writing Intensive Level C as it has been awhile since my older two sons first met Andrew Pudewa and took his fabulous writing instruction program (Level B). I was then, and am now still pleased with the course. Here I am posing, happy for you as the wind gently tosses my hair. IEW is an established, award winning program, and along with being a proficient writing instructor, IEW founder Andrew Pudewa is a homeschooling dad. I love that he understands me and what homeschoolers need. There are several writing courses to choose from at IEW, and you can read reviews of some of the other products at the Crew Review Blog. Student Writing Intensive Level C is a complete writing program geared toward the highschool grades or 13+ age. It is not a prequesite to have used levels A and B prior to C. Each one has a similiar framework and techniques with the main difference being the level of difficulty is made appropriate for the age group. It will carry you through a full school year if you watch the DVD once a week and use the other school days to work on the assignments. Some of my friends met weekly and completed the course as a mini co-op. This worked so well for them they did both B and C this way. The TWSS is not a must have to successfully use the student course, rather a resource for those families who want to have access to ten lecture hours by Andrew Pudewa, writing virtuoso. The Declaration of Independence writers consisted of John Adams, Benjamin Franklin, Thomas Jefferson, and Thomas Paine, who were all in agreement on the first draft of the document. The draft contained the basic ideas, but they all concurred that the final version needed to be inspiring, precise, and artistic. Adams was too rough, Franklin was sickly, and Paine too controversial a man to pen the final draft, which meant the task was left to Jefferson. His landlady journaled the struggle he had with the completion. She wrote of his pacing day after day with no progress. He was stalled. Jefferson then sent home for his violin and after it arrived he she could hear him play for half an hour and then followed by silence. The music was his muse and the silence meant productivity. After only a few days of this cycle the document was ready for presentation. The violin unleashed his creative genius, and infused the art, precision and inspiration the men were looking for. Few people know that the violin played such a pivotal role in the founding of America. I would highly recommend this class to anyone who needs an understanding of the principles of writing, or who simply want to improve their existing skills. Oh, and you should be warned he is strict about one thing, and I have never forgotten this important principle of writing: He said that you should only use pens but if you do use a pencil, don’t use the eraser…. The Institute for Excellence in Writing and the witty Andrew Pudewa has Homeschoolbuzz’s stamp of approval, and we plan to continue to use the Student Writing Intensive Program with our last (sniff, sniff) – our youngest son Will. My research tells me these are the words your are most likely to encounter on the SAT. Run down the list and write down the ones you don’t know on index cards. Draw a simple picture next to the word and use it in a sentence. Best way to study for the SAT vocabulary section: read a lot of good literature and highlight the words you don’t know, and look them up. You are likely able to easily eliminate two of the choices on your questions. I’ve included a link at the bottom to a simple game using these words. Have fun- because if learning isn’t fun then you’re doing something wrong. Birdcage Press specializes in making award winning games that teach history, art, and nature – surely you will recognize them if you have perused museum gift shops or book stores as their products can be found there. For this review, I chose Art Close Up: Museum of Modern Art card game as we were hoping to visit the MOMA during our recent NYC vacation. No, we never made it to the museum, but we loved the card game, had a wonderful trip, and MOMA is now at the top of our list of things to do at our next NYC visit. The recommended ages for play of this card game is Ages 5+ and it sells for $10.95 at the Birdcage Press website. I don’t have young children, so my feedback is from my teens and various friends/relatives ranging in age from 12-82. Art Close Up was a huge hit with grandma, and several of my homeschooling mama friends. One of the moms thought her ten year old daughter would love Art Close Up – I almost let her borrow the deck, but we hadn’t gone to NYC yet and I was crossing my fingers we could do the scavenger hunt game. My teen boys enjoyed playing the games, and were stoked when they recognized the paintings or the artist. But being senior high/college ages and RPG online gamers, one round of the card game variations was it for them. The deck consists of 48 sturdy, glossy cards of a sampling of 24 artists and their works that are on display in the Museum of Modern Art. The full painting, artist, title, and year painted is on one card, while the matching card has a magnification (close up) of a part of the painting. Up to five different card games (Old Maid, Go Fish, Memory…) can be played to match the close up with the descriptive mate. At first the games are challenging – the close ups can be tricky to match, and it is tempting to linger over the card as if you were standing in front of the real painting. Eyes darting from top to bottom, examining the brush strokes, the detail, mesmerized by the talent of the artist while trying to interpret the feel, meaning, and simply enjoy the magnificence of the work. Some of the artists you will see on the cards include: Matisse, Monet, Picasso, Cézanne, Klee, Dali, and my husbands all time favorite – Edward Hopper. If you are looking for a fun way to incorporate modern art appreciation into your home schools, and involve the whole family, Art Close Up is a fantastic way. Oh, just a suggestion – when you play the game Old Maid, we chose At the Milliner’s by Degas. As you can see below, she seemed to fit the role perfectly. A loud shout out to the Birdcage Press team! These ladies have created a stunning array of educational games. Check out more reviews of Art Close Up and other Birdcage Press products at the Schoolhouse Review Crew Blog. It was pretty standard, not too hard, but I prefer textbooks. I Liked the worksheets but (our son) disliked the redirection to the links for math games or videos. Mammoth did not work with his particular learning style. He likes a physical book he can read, and does not follow linear learning in video presentations. However, this program would work much better with a kinesthetic/visual learner as opposed to our learner who has to have a physical book he can sit and digest, and go back and re-read. Whether you choose the PDF product or the physical, you will receive a full school year of material. In 6A/6B all the common core standards are included such as: exponent, simple equations,expressions,ratios proportions, scaling, decimals, primes and prime factorization, percent, geometry, integers, and statistics/probability. 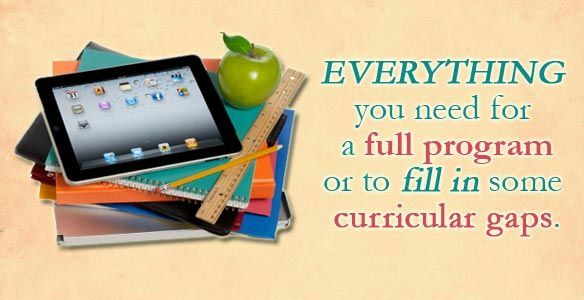 I know many families are still deciding on what math curriculums to use for their students. I encourage you to read more reviews of Math Mammoth products at the TOS Review Crew Blog and also head over to the Math Mammoth website and scoop up Maria’s free sample worksheets. I still see a place for Math Mammoth in my son’s education. At the very least I plan to utilize the fantastic links to the various websites that teach the foundational math concepts via engaging game and non-lecture manner. Such as this one on ratios: It’s a memory/match game. Maria Miller is a fine math teacher and has a knack for making math fun and easy to understand. It is obvious in her presentations she has a passion for math, and will likely guide your fledgling math learners to soar. The teacher introduced some history of cartooning, and demonstrated how to draw animals, faces, and other props commonly seen in cartoons. The students follow along, drawing on their art pads while incorporating her instructions for making a unique, quality cartoon. The video has a relaxed feel, and takes the novice through the basics: light sketching, making a thought bubble verses a speech bubble, when to write the dialogue, and how to exaggerate facial features and body language to emphasize action and feelings. She gave no advice on how to come up with a punch line, but using these techniques, probably anything will be funny. Overall, the consensus was this cartooning DVD lesson was fun and provided an entertaining evening for the boys, and dad especially enjoyed it as it reminded him of being a young teenager. He used to make comics with his cousin, and has several of them tucked away (in mint condition!). The only thing they didn’t like was it started out slow, and there were no pause points or scene selections. I would advise pausing the DVD every twenty minutes to allow everyone a chance to catch up. Their favorite part was the last twenty minutes when they placed the dialogue. This product is versatile, and will appeal to a wide range of ages. See the Light’s Cartooning would be great to use for a co-op art class or even for a kid sunday school hour. I definitely see this being more fun with a group – especially the part where you get to “show and tell” – seeing what my boys came up with was hysterical. Cartooning is just one of the art selections. Read other crew members reviews of Cartooning and more of See the Light art titles at the Review Crew Blog, and check out See the Light’s blog for some super art tips. When a mom tells me she is considering homeschooling, the first thing I tell her to do is read everything she can on the subject. Timeless Teaching Tips is one book I would suggest she include on her list. If you want a successful journey to anywhere, you better read up on where you are going, get some tour books or hire a guide, maybe get some travel insurance, and be sure to pack the essentials. For new home schoolers, Joyce Herzog is your tour guide for teaching. She has decades of experience, authored numerous books and curriculum, and has what you need to know to bring out your inner teacher. Timeless Teaching Tips is an excellent choice to read before you start home educating. It will be a book you will refer to often. It contains thoughtful pearls and teacher wisdom to help with common educational hurdles and other inevitable storms you are sure to run into along the way. This book is perfect for those with young children as the bulk of Joyce’s suggestions deal with teaching younger/elementary learners. This 200+ paged paperback retails for $15. Principles of Learning, It’s Been Said, Practical Helps, Homeschooling Issues, Gems, and Spiritual Considerations. It is written from a Christian perspective, and though I read it as how it could help me, a homeschool educator, it is also appropriate for Sunday School teachers or others who are in settings where they educate young children. For example, under Practical Helps here’s a cool little trick that will help in teaching math. Recognition of number patterns can be as simple as rolling a die and instantly recognizing the number it stands for without counting. If a child can do this before he learns to add and subtract, it will make his understaning of addition and subtraction jump miles ahead. Obtain 10-sided dice to carry this skill on past six. I always scout for inside information. Why do more work than I have to? If someone with more experience can tell me a short cut or a trick to do something better, bring it on! I don’t want to be told, just steer me in the right direction and help me when I need it. I think that’s what most of us home educators want. That’s what this book will give you. Yes, that’s me and my boys five years ago, and here we are below present day. Having recently graduated my eldest from homeschool high school, I was looking forward to reviewing High School Prep Genius by College Prep Genius. I had been researching how to homeschool the high school years for the last five years and college prep for the last two. I approached the book warily, realizing I was about to read not just the good news: what we had done right, but also the bad news: what we missed or could have done better during my son’s four years of high school. The goal of High School Prep Genius (sells for $29.95) is to provide answers to the many questions parents and homeschool educators have about high school: when do we do what? What paperwork should we be doing? When and how do we apply for college? And how will my sloth like child transform his untamed, myopic makeup into an adult who is responsible, educated, and ultimately successful? Navigating the high school years the first time is daunting. I went to presentations at our local homeschool conventions, talked with other homeschool moms who were in the thick of it, and read many books during my son’s eighth grade year. I scoured the web for resources, and searched for practical transcript templates. Looking back on the work I had done to enter high school confidently, I can tell you that High School Prep Genius would have been an invaluable help to me. This 400+ paged paper back book is your academic guide to excellence. There is nothing I want more for my children than for them to each reach their individualized bar of excellence. The book is written in a conversational style to both the parent/teacher and the student. I don’t advise reading it from cover to cover, rather browse the index, and choose the sections you want your student to read. Devote about an hour a week, each of you paying attention to the areas you wish to focus on. At the start, the author encourages your high schooler to keep a College and Career notebook. That’s one thing I could have done better. We scrambled senior year and were forced to leaf through tons of old files and notes gathering the data we needed for college applications. Do not hastily read this list and go on to the next topic. In fact, if you get nothing else from this entire book but a strong desire to improve your character, your time will be well spent. I must confess that I mulled over this section of the book for the bulk of my review period. My sixteen-your old son was in a rut. He was bored by the mundane routine of school and was getting behind in his studies. We spent lots of time discussing his situation, and his growing dependency on his computer and digitally related entertainment. After he filled out the section on discovering your interests I was inspired to give him an abbreviated “sabbatical”. For three days he put his school work aside and unplugged his computer. He rested, sketched, took nature walks, made dinner, played with the dog, did creative writing, and finally finished George Orwell’s 1984. It was that much needed break from “school” that helped him find his way. He’s rediscovered his buried hobbies, and is pretty sure he has now chosen his career path. I’m ecstatic! Foundation for Academic Success: This section discusses the habits necessary to do well academically. Everyone wants to get good grades. But it takes work to excel in this area. However, there is no point in doing well on a test if you aren’t really learning the material. Here your student will read why rote memorization is not the road to understanding a subject. Effective studying, good note taking, how to approach test taking, and getting oneself organized are discussed. This is a very important section that is practical and useful. Oh, and here I learned another thing I did wrong – last year I neglected to ask my son before I signed him up for a volunteer job. Me: Good news! Your signed up to volunteer at the LPGA. Him: What?! I don’t want to do it, I don’t even like golf! Me: Of course you like golf. Besides, you get twenty free golf dollars to spend on concessions, and a free t-shirt! Him: I don’t care about the food or the t-shirt. It’s too early to get up. I’m not going. He had a few moments of fun. Ate several hamburgers. Hasn’t worn the t-shirt since, and no, will not be going back this year. I learned your teen should get to choose where he would like to volunteer. I spent hours looking for scholarships, and used all the recommended websites. I found nothing I qualified for. The online applications for the colleges I applied for were ridiculously tedious and I basically wasted hours of my time. When I finally got to the point where I submitted my application, they denied it – I missed the application deadline. It was much easier applying to our community college, and I plan to do the 2+2 program and transfer to a State University after earning my associates. I’ll get my 4 year degree and not go in debt. No one should start their adult lives with a huge debt. High School Prep is an excellent resource, and contains all the vital information (and a whole lot more) that you should know to help your child succeed in high school and formulate a continuing education plan. For me, it was all good news. Even with a few blunders, my first high schooler graduated a semester early, achieved perfect vocabulary and math scores on his junior year stanford achievement test, was president of the homeschool honor society, served as a missionary in the Dominican Republic, scored high on the PSAT on SAT(took just once). And, above all, he is the most virtuous, humble, dedicated, excellent, loving Christian man I had hoped he would become. Yes, it is more than good. Read more reviews of this product at the Schoolhouse review crew blog. Spanish For You! is a unique and affordable spanish instruction curriculum for your pre-high school students. I reviewed the Fiestas e-book curriculum for TOS Review Crew. My son, Benny helped me with the review by using the program for the past month, and we want to share our experience with you. Benny is in tenth grade, and for his high school language he chose Japanese. Yeah, that’s what I said, why Japanese?! I was thinking Spanish might be more practical and less challenging. Nope. Japanese it would be, and he did great the first year. Second year, not so great. It wasn’t long before he became frustrated and stalled. Second quarter I had no progress to report to the school district so we pulled out and substituted with a hastily chosen spanish instruction substitute from the library. That also tanked. So, even though Spanish For You! was meant for younger grades, we thought it just might be what he needed. I anticipated the program would offer a foundation in introductory Spanish and we both were looking forward to having a physical product to write in, leaf through, and later have available for reference. His previous Japanese program was all CD’s, as was the library Spanish. What we received for review was the grades 3-8 package (sells for $64.95), which contains: a soft cover book (we got the e-book for this review), a MP3 audio download of the book, and bonus audio of the entire book recorded by a native speaker from Mexico, and downloads in PDF: 24-30 Week Lesson Guide, worksheets, and pictures for flash cards. –The material is presented in an easy to understand, entertaining fashion. Instead of a lesson/drill approach learning meaningless conversations, you choose a package theme, not a level. Celebrations, travels, and seasons are in a sense a unit study where spanish will be taught using common words, phrases, objects, and conversations based on that theme. -It is suitable for multi-grade teaching. You can use the one package to teach all your appropriate aged students at once. There are several games and activities the author suggests at the beginning that will help make the learning engaging and entertaining to the students. Spanish for You! would work well for a small co-op or group experience. -It offers multi-sensory learning: The more senses you use when learning a new skill, the easier it is to learn. This curriculum offers visual – vocabulary flash cards (you make), the lesson book, auditory: MP3 tracks of lessons physical – games, activities. Since our kids learn in different ways, Spanish For You! covers all the major learning styles. I did find the material easy to learn, and it wasn’t boring, so I am going to try to get a little farther in the book. The last thing I didn’t like was it being in an e-book form. My mom never lets me print out pages because we are either out of ink or she says it costs too much. I like working on paper and having a book to use. Gracias por leer nuestra review. Obtener una muestra de lección gratis aquí. Free PDF sample of Fiestas. Asegúrate de ir al blog de revisión tripulación para leer más comentarios de español para usted! Read more reviews at the Schoolhouse Review Crew Blog. I reviewed Papa’s Pearls as part of the TOS Crew Review. This 100+ paged paper back book by Diane Flynn Keith is a narrative of her father’s practical advice, sayings, and real life accounts that show how “Papa” learned each of the pearls he would later pass down to his children and grandchildren. It doesn’t matter if I like it, do you like it? Yes, our dads and granddads were filled with witty comebacks thrown in with some wisdom. I know you will enjoy reading the life story of Carol Joseph Flynn (Papa) lovingly recounted by his daughter. Each of the 17 chapters is titled with a pearl, and starts by bringing the reader back in time to early 20th century America and follows papa through his unconventional upbringing, his stint in continuation school and the Civilian Conservation Corps, and his start in the plumbing business. Finally, readers will read of his transition to adoring husband and wise father. It is a heartfelt read, with many wonderful stories and historical tidbits of the 20th century. Garrison (college student): “It read like a lively documentary; a daughter trying to share the wisdom her father taught her while infusing it with his personality. None of the sentence structures in the book amazed me, the book is written so that the character her father was will make up for the average-quality writing style (I’m not saying the writing style was bad, I’m saying it wasn’t great). The pearls I heard were decent advice. Often I felt them to be fairly naive, but that’s really the essence of the book – the man Papa was; a joyful, forgiving man who tries hard to see the best in people. I imagine it could be a popular family book for families with grade-school age children as it opens up lots of discussion: is your grandpa like Papa in this chapter? is the advice good? do you want to try it? It’s different than the books I read as a child since although it is like a documentary it reads like a story; that’s why I called it lively. Let me leave you with this highlight of our experience: Papa liked to dance and used to say, “Doodle-lee Do it” and click his heels. It was his way of bringing a little lightness and joy to his family and business associates. We found the song, and once it started playing my college guy broke out in smiles and let loose with a little two step jig. An autographed copy of Papa’s Pearls: A Father’s Gift of Love and Wisdom to His Children and Grandchildren is available through Homefires for $21.97 which includes shipping. The book is also available on Amazon in paperback or Kindle edition. Read more reviews of Papa’s Pearls from the TOS crew here at the review crew blog. I was thrilled to have the opportunity to review this product, The Power in Your Hands: Writing Nonfiction in High School by Sharon Watson. I used Jump In, Sharon’s writing curriculum for middle grades when my son was in eighth grade. He loved it, and I have recommended it many times to my fellow homeschoolers. Though he liked creative writing, he never liked writing instruction. Soon it became his favorite subject. Sharon has a gift for nudging uneager or perhaps unconfident writers to learn to enjoy writing. In The Power in Your Hands, she teaches high-schoolers how to write non-fiction, and if there is anything that my now sixteen year-old old son would rather not write, it is non-fiction. The dreaded essay, the never-ending research paper, the arguments, and the persuasions, the SAT twenty minute timed prompts, and that confounded thesis. Please, he says, no more essay writing, I’ve done enough already! Yes, this year he has taken essay writing I, II, and III through an on-line writing course. Although he learned a few major points such as establishing a thesis and supporting it with five paragraphs, his joy was stripped and his self confidence deflated. His writing was ripped apart with shallow critiques, belittling comments, and near failing grades (70%) that left him discouraged and convinced he was a horrible writer. Right at the beginning, there was a checklist that gave a list of problems people might have while writing. Before this book, I was rather frustrated that no one understood why it was so hard for me to put what I was trying to say on paper. The author of this curriculum really seems to understand people, as every single one of my writing problems was on the list. I knew after completing the checklist that I was going to like this course. I’ve had some bad experiences with writing courses before, so finding a good one was a flood of relief. I’ve had plenty of experience with writing, so everything that was taught within the first fifty pages wasn’t anything new. But once we got to the first essay assignment, things started to pick up for me. Overall, I think this writing program is useful for all high schoolers, especially those without much practice in writing non-fiction. I am really looking forward to continuing. I plan to have him use this for the remainder of the school year, and will no doubt use it with my youngest son when he gets to high school. I have confidence that when he finishes school in June, my guy will be ready for college-level English 101. I don’t think I would have enrolled him if Sharon’s perfectly timed writing course had not come our way and gotten us through our unfortunate writing setback. The curriculum covers in depth all aspects of non-fiction writing that a high-schooler should know: persuasion, exposition, writing letters, how-to’s, description, narration, newspaper writing, biographies, literary analysis, compare and contrast, even writing a testimony (contains some Christian based content). That’s just my abbreviated list for this review. It’s more accurate to say she covers every type of non-fiction writing you can think of, and then some. When I grade papers, I like to find something noteworthy to comment on even in the lamest paper, something true that will encourage the timid or inexperienced student…after all, we want students to keep writing. We don’t want them to shut down because of too much negative feedback too early. Don’t aim for perfection: aim for progress. Fire the teachers that kill with quail shot, and hire those who get you jumping. Sharon Watson, now she’s one that will get you soaring. Thanks for reading my review, check out more reviews at the TOS review crew blog. When you live in a household of geeks with numerous Apple devices, Apps are as common and sought after as milk and cookies. Knowledge Quest, known for their history and geography curriculum, has developed this versatile TimelineBuilder iPad App for creating custom timelines of your choosing. At the time of this crew review, Knowledge Quest is running an early bird special. If you go to I-tunes through the designated link on this page of their site, you have an opportunity to get a free e-book when you purchase the App for $4.99. Later the price will change to $6.99. I picked this App for review so my 12-year-old could try it out on his iPad. Although Knowledge Quest has a tutorial on how to use it, my son skipped the directions (he likes to figure it out on his own), and immersed himself full throttle. Viola! In mere minutes he had created an impressive timeline of Apple computers. It was fun, easy to use, with a convenient wiki search. I liked the jazzy music, but after awhile I got tired of the same song and I turned it off. It was a fun way to do research and make a timeline. I never made one before. The only thing that I didn’t like was I always had to have an image-I would rather have the option to use text with or without the image. A pocket watch served as a place holder when I didn’t pick an image. Besides using wiki-images, you can use your own. No scribbly messes-an error can easily be deleted. Target age is 10+, and the publisher suggests uses other than for students; genealogists, project managers, marketers, basically any hobbyist or professional who needs a timeline of events could utilize this. I like the fact that Knowledge Quest is making educational Apps and hope more curriculum publishers will follow suit. My son would never had made a timeline had I not been able to give him this digital opportunity. As much as I’ve protested about the time my younger sons have spent on their electronic devices, I have to succumb to the inevitable-times have changed, and homeschooling has changed along with it. Now if you’ll excuse me, I have to Skype my son and have him email me his writing for today. My 12-year-old loves science, and we couldn’t wait to dive into Supercharged Science for this TOS Crew review. Bill Nye the science guy step aside and make room for Aurora the rocket scientist. She’s got the brains, the enthusiasm, and the knack for making science educational and fun. Supercharged Science is an online e-science curriculum that can be used in all grades K-12. It’s ideal use is for your main full year science curriculum – with over 1,000 activities, experiments and projects, it is unlikely you will exhaust the material, and It is adaptable to use for multi-grade teaching so everyone can learn together. It is organized into 20 units, teaching eighteen core scientific principles, ten of which students should understand before they hit college. Some of these key scientific concepts are higher pressure always pushes, heat flows from hot to cold, like charges repel, opposites attract. How about you? Do you really understand these principals? I dare you to try Aurora’s quiz. (PDF) Yes, I took it, and no, I am not telling you what I got. I couldn’t bare the shame. With Supercharged Science, Aurora is the primary instructor. You are the facilitator, set up/clean up crew and science cheerleader. Aurora and her team are available to any student or parent through email and a chat board. Material is taught through video demonstrations, teleclasses, optional downloadable text and worksheets, and hundreds of hands on activities which truly are the highlight of this program. Access is through a monthly subscription that can be cancelled anytime. K-8 access is $37, K-12 is $57. Aurora also sends out emails with exciting new suggestions for experiments and various interesting facts or videos to watch. and some day, develop the formula for invisibility. He loves tinkering, building, and appreciates learning the “science” behind the experiments. His learning style has led us to lean towards an unschooled approach. Thus, we ping-ponged around the units and sampled several, the highlight being the experiments. We tried the course for six weeks, and our consensus was hey! this is a cool program, and the experiments actually work. Persnkicky experiments with specialty ingredients that have pale outcomes has turned me off from many a science curriculum. Yes, variables can cause an experiment to be a bust, but when that tends to be the rule rather than the exception it makes science terribly bland. We built a electromagnetic in response to our study of Unit 10. An easy hook up of wires and batteries completed a circuit and lit up a bulb which demonstrated electrical flow. The ten minute procedure spawned an hour long session of experimentation and learning about electricity. We made a flying contraption from the easy experiments and videos section. Constructed out of paper, straws, and a little tape demonstrated aerodynamic principles. It flew far and smooth and whet my son’s appetite for more. We put ivory soap in the microwave and watched the change. Ooohs and aaahs filled the room along with the fragrant aroma of cleanliness. This was very cool. We live in cloudy, cold New York, so we didn’t get a chance to use our creation yet and make our s’mores. Maybe in July it will be warm enough. The boys had the opportunity to ask questions to Aurora, but being on the shy side, they sat back and listened. One kid from Alaska asked if it was true that a duck’s quack has no echo. Proof there is no question too small or silly for Supercharged Science. The goal of Supercharged Science is to get an exceptional science education. And, most importantly to have fun getting it! Aurora is a gifted teacher, and more than qualified to teach your children. Here’s more information on her background and how she developed this quality homeschool science program. Try a sample: Get a complimentary science activity manual and video collection of her most popular experiments. I have no qualms in giving this e-science program Homeschoolbuzz.com’s seal of approval. Every homeschooler should give it a try at some point in their homeschool journey. Especially if you fear your middle or high schooler is struggling with the basic foundations of science. Aurora is there for you, and is certain to kindle a flame and satisfy your budding Einstein’s and Edison’s quest for scientific knowledge. Click here to read some additional reviews of this product. Up until this review, Calculus was the one level of Math-U-See I had not used. We tinkered with the primers, but my first real engagement was with Delta and I used each level right through Pre-Calc. My middle son finished through Geometry, and my youngest is the one who it didn’t jive with. Because of his learning style, he needs a “Math-U-Hear”. I must confess that teaching calculus is out of my comfort zone – I bailed teaching math after geometry and my boys became independent with Steve Demme as their sole teacher. When dad couldn’t help them figure out how to work through a problem, the Math-U-See support staff was available and indispensable. Pre-calc posed some challenges for my eldest last year, but it was easily rectified. I called the Math-U-See support number, handed my son the phone, and an hour later he understood what step in his “proof” he had overlooked. Math-U-See has been my personal choice math curriculum for the last seven years for a reason – Steve Demme is a fantastic teacher, versatile enough to teach the easiest concepts right through to the most brain wracking formulas and principles associated with higher level math. He talks to the student, has mastery of the subject, and an ease with a splash of humor in his presentation style. Aptly named, Math-U-See is perfect for visual learners. The lower/middle grades make good use of manipulatives. Mr. Demme uses many visual examples and common sense scenarios to accent the mathematical demonstrations. The instructor’s manual is a complement to the DVD – which is simple to navigate and can easily be picked up where you last left off. Treat it with care though, scratches are never good for maintaining DVD quality. In this full year Calculus program, you get the combined instructional DVD/companion hardcover (nearly five hundred paged) manual for $92. The consumable student text is $32. The thirty lessons are taught to the student by Steve Demme (via DVD) and depending on the concept, vary in length from 10 to 45 minutes. Ideally, four days are lesson practice and the fifth day can be used as test day (my son chooses not to do a test unless he has difficulty and would then use the test as an extra worksheet). The first five lessons are primarily review of fundamental must grasp concepts of a moderate to advanced level of algebra. It works through trigonometry and graphing and then delves into introducing the basis of calculus such as functions, continuity, domain, range, derivatives, integrals, differential equations, optimizations, and more. Some of this was taught in pre-calc, but the student may not have recognized it as calculus concepts. You may spend a day on a new topic, or you may spend several days. There are so many factors that influence this process that it is impossible to predict the length of time from one lesson to another…If you move from lesson to lesson too quickly without the student demonstrating mastery, he will become overwhelmed and discouraged. If you move too slowly, your student may become bored and lose interest in math. The program is heavy on graphing on the first five chapters, and of course is very visual. I didn’t plan for this amount of review, and could have gone through the beginning quicker as I was ready for the new concepts. The instruction manual provides extra explanations and examples with two variations of the problem in addition to Mr. Demme’s lesson example. It took me about thirty minutes a day to complete a worksheet (four per lesson). I am an independent student and like this kind of curriculum that allows me to remain independent. Someone who isn’t as motivated or doesn’t keep up with math every day will have trouble with this approach. I liked that adequate review was offered, and that the math problems were challenging. I didn’t like the amount of graphing in the beginning, it did get tiring. Mr. Demme is a great teacher, I felt like he was my personal tutor. He knows how to share his knowledge in a way you can understand. He eases you into the subject, has a clear path. This is a good course for a high school senior like me, who enjoys math. Mr. Demme has been my math teacher since seventh grade. In case he’s reading, I want to say thanks and let him know I got a perfect score on my Standford math test last summer and tested at the pre-calc college level last year when doing placement testing for community college. The majority of the other students testing with me only qualified for the college algebra level. Oh, and even though I only agreed to use this curriculum for a six week review, I like it and am enjoying it enough that I plan to finish it. I am so proud of my son, and grateful for the help Math-U-See has provided in developing his solid foundation and for reinforcing the love for math he has shown throughout his K-12 homeschool education. There are many more perspectives on the various levels of Math-U-See. Be sure to check out more reviews from the Schoolhouse Review Crew. Teaching high school art is intimidating and challenging to a parent like me who has no artistic talents. I am so art challenged that my husband even forbids me from painting a wall because I miss spots and leave unsightly drip marks. But, I am excellent at following instructions and have a knack for recognizing quality curriculum. When it comes to teaching art, Artistic Pursuits has nailed it. My boys and I sampled Artistic Pursuits High School 9-12 Book Two: Color and Composition, newly minted 2013 third edition $47.95. This curriculum by Brenda Ellis is a spiral bound book with sixteen lessons that will last you through a thirty-two week full school year period. Geared toward ages 14 and up, the focus of the teaching is on the elements of art and the principles of design. The student will be creating his own amazing works of art through conversational presentations of art vocabulary, techniques, and blazing colorful reproductions of both well known European artists and outstanding student examples. The work below is inspired by Lesson 1 Unit 1 on Hue. Using watercolors, my boys chose a single color and tinted it with water to reflect the various shades of the color. Then we worked our way to Unit 3 where shading was applied to change the value of a hue by adding a touch of black. Here they also learned how light and dark areas show form. The classic piece the New Born Child by Georges de La Tour was used as an example to show shaded hue. Artistic Pursuits’s holds the philosophy that every child can understand the concepts of art and enjoy the process of putting ideas and visual images on paper. In our home school we share the same philosophy. From the time they were able to hold a crayon they were decorating first our walls, then our tables, as we gently guided their little hands to paper. I’ve tucked away their early creations and from time to time when I stumble upon them I smile- it makes my heart glad to know we encouraged and groomed their creativity throughout their homeschool education. Whether you have used the prior Artistic Pursuits books or not, this is a great course to include at some point in your student’s 9-12 high school education. Oh, and what I especially love is the student can be independent. Your job is to get the art supplies (handy list is provided), and facilitate as needed. Be sure to find some wall space to showcase the beautiful pieces that your student artist will be creating. Check out what the other crew members have to say here at The Schoolhouse Review Crew Blog. I have always incorporated flash cards whenever necessary to help my boys recall vocabulary words, solidify math facts, or memorize verses. My meager 3×5 index cards hastily penned with sloppy handwriting are no match for Lone Star Learning’s quality, thoughtfully conceptualized Targeted Vocabulary Pictures cards. I tried Set 1 with my sixth grader. Although he is a classic auditory learner, he has an eye for good design and art. He loved the presentation of the target word blending into a animated pictorial definition. He has difficulty with memorization, but we saw improvement with his long term recall after using this set. This type of visual mnemonic is a fantastic tool – see the word being used as what it means helps spark connections. If my short attention span auditory learner likes these cards, that is my proof that any type of learner can use these successfully. Though these cards are geared toward the grade 3-8 range, you can creatively incorporate them with other grades. The cards are glossy print on sturdy card stock. They are excellent quality, and will pass down nicely to younger grades as they move up the ranks. Read the words and discuss the definition. Look at the pictures hidden within the word and discuss why those pictures demonstrate the meaning. Students can write and illustrate the words themselves in a dictionary that they create. Use the words to make acrostic poetry. Show one word a day and have your student use it in a sentence. Find places to post the cards once they have been introduced and revisit them often. Here’s another take on the power of using cards specifically in adult learners. Glad to recommend Lone Star’s products for your educational needs. Refer to their website to see the different card themes they have to offer. From my own experience, I’d much rather buy well made thoughtfully designed cards than invest the time to make my own. Oh, for your techies-they also have digital options. Check out what the rest of the crew review has to say about this fantastic product here. The Internet has opened the floodgates of knowledge and history to the world. Prior to its introduction into modern day households, textbooks, biographies, and VHS tapes were the ticket to knowledge. Now, a couple of clicks and you can be roving around Mars or gazing at the Mona Lisa. In Abraham’s Journey, by Robert and Kathleen Basmadjian, the economy is in a recession and a boy (Abraham) learns his parents can’t afford Christmas presents. When he uses his smartphone to look for ways to earn money, a wise old man pops out of the screen and tells Abraham he can help. The elder uses a little Internet magic to whisk Abraham away on a cyber-journey with the intent to help the kid discover his talents and experience first hand the American Dream. The duo make several stops along the 20th century timeline and meet up with Martin Luther King Jr and Norman Rockwell and then zip on to present day Icons Mark Zuckerberg and Bill Gates. Abraham learns on his travels he has a special talent and gets to hear first hand the wisdom for success these great Americans have to share. Abraham’s Journey is a unique way of introducing primary grades to how social media can be used to network and promote a business. With the “wise old man” as a guide, Abraham was able to discover he had a talent, and through social media he was able to connect with someone he would never had reached otherwise. The book geared toward the 7-12 age group is a quick read – at forty pages it can be read in one sitting. It only took me ten minutes to finish, but a student who is reading easy chapter books might need a half hour. It is colorfully and plentifully illustrated, and my twelve year old thought the art was inviting and the best part of the book. I do agree, without the page wide illustrations the story would fall short. The narrative is simple, and though an index of definitions is included in the back, there was no challenging vocabulary. A short biography of each historical (past and modern day) accompanies the definitions. The principles the book conveys: hard work and innovation combined with digital platforms can result in a modern fulfillment of the American dream are true; but I thought the book lacked a “wow” factor. Kids who are young and haven’t had much exposure to the Internet will likely be intrigued. Kids (like mine) who are digitally engaged and plugged into networks may not be as excited, but will still enjoy learning a few things about these fascinating people. It sells for $14.99 at the Inspiring the American Dream website. Read what other members of the TOS crew review have to say about Abraham’s Journey. The thought of homeschooling high school terrified me and the whole college prep process confused me. Now that I have accomplished them both successfully I can pass on what I’ve learned to you so your passage through these years will be painless and enjoyable. The one important caveat I’ve learned is it is never too early to plan for college. High school creeps up so fast that it can feel like you’ve zipped through a small town – blink and it’s over. Plan now=peace of mind later. Going to College and Paying for it Online Video and Workbook is a resource College Common Sense designed to help you make the best possible college decisions. The program consists of a series of video instructions, newsletters, and a good deal of lesson plans and jumpstarts for learning about potential careers. Denise Ames, the developer and author, has 10 years experience in the college industry and delivers her “inside” tips with confidence, clarity, and a calm mannerism. She walks you through the college process using a sensible time line and gives you the best advice for winning ideal scholarships and avoiding the scams. When is FAFSA due? Is it necessary? How many colleges to choose? How do you choose one? For this review, my husband and I watched the videos on filling out the FAFSA form, the application process, and the scholarship hunt. We were pleased with how she cleared up our misunderstandings. Right after our viewing we finished the FAFSA and our son applied to his first college, and he’s now finishing up his second application. Denise came through for us and gave us the motivation and encouragement to take the next step even when we thought we had waited too long. You can start this program in the elementary grades. If you are still early in your homeschool journey, you will reap considerable benefit from her newsletter and lesson plans. Prior to high school, do the lessons once a month (high schoolers will want to use it more frequently). Your students will be introduced to various industries – this month is environment and food sources, and will be guided to write reflections in a permanent notebook. Though ideally this program should be started by freshman year, I can attest even a first use in senior year will be extremely helpful. The scholarship/free money help alone makes this a worthy purchase. Going to College and Paying for it online video & workbook costs $25.00 for 12 month log-in access. And, you get the College Common Sense newsletter and lesson plans free anytime, even without a purchase. What a generous, gracious offer! I would have loved to have had access to this when I was doing my three year high school plan for my eldest son. College and career training are perhaps the biggest investments a person will ever make. A big financial decision requires wise, strategic planning. Sure, I’ve ended up where I should be, but I took the long way to get here. College Common sense has done the research and can serve as your homeschool guidance counselor. Whether your kids are still in elementary education or nearing graduation, you will be smart to tap into the goldmine of information this program has to offer. Read what other members of the TOS review crew has to say about College Common Sense here. We can all relate to any or all of the above statments. Rather than mosey along with something that’s not working, or surrender to panic and give up, you can find help at SchoolhouseTeachers.com, an online educational hub that offers a vast array of courses, activities, and lesson plans from experts and well known homeschool leaders. If you get easily overwhelmed by too much information, then step back and try focusing on just one subject. That’s how I plan to use it. I’m set with my base curriculum, but I like the idea of having a team of experts available to me as a need arises. The best surprise for me was to learn how outrageously affordable the monthly subscription is – $5.95 per month per family no matter how many children you have, and there are no commitments – hop out any time you like. Members will also get a subscription to the TOS digital magazine, free e-books every month, and digital planners. I would suggest September as the best time to join if you want to use the site for a full course, but if you join mid year there is access to previous months lessons. This is a great site to use to find fresh ideas, and learn from some of the well known homeschool rock stars! TOS has been a blessing to me over the years, and I am so pleased with what they have made available to the homeschooling community at SchoolhouseTeachers.com. Head over there now and take a peak, or see what other crew review members have to say here. I think you too will be pleased with what you find. Disclaimer: I received a free subscription of this product through the Schoolhouse Review Crew in exchange for my honest review. I was not required to write a positive review nor was I compensated in any other way. All opinions I have expressed are my own or those of my family. I am disclosing this in accordance with the FTC Regulations. Wouldn’t it be wonderful to never get sick – no more bronchitis, stomach bug, or other nasty viruses? Close to $40 billion a year is spent treating the common cold. But what if there was a simple solution to avoid sickness? Imagine how much more you could do and the money you’d save if you never got sick. In his book The Secrets of People Who Never Get Sick, Gene Stone found a sampling of everyday people who claimed to never get ill. 25 healthy living “secrets”, some unique, others well known. Would they work for anyone? He tried them all and gives his readers a candid appraisal of his findings. What a fresh, insightful book. It’s not peddling snake oils or giving a podium for eccentric people to ballyhoo their strange habits. Rather, it is a peek into the lives of regular people, who do a little something extra – eat fresh garlic, consume only plant based foods, take probiotics, make a habit of napping and balance their PH. They all swear their routine keeps them healthy. The author examines each habit, and shares any science or truth that backs up the validity of their choices. I prefer prevention to cure, defense, to offense, and am game for any common sense practice that doesn’t require more money or time than I can afford. I have a couple of my own “secrets” for staying healthy, but I believe the common thread that is found in all robust people is a commitment to healthy living – a balanced diet rich in vegetables, good sleep, positive thoughts, no smoking, regular exercise, faith and love, and a sense of purpose. Still, I love to hear the testimonies of others, and save all the golden nuggets I learn. I got a good bucket of nuggets from this book and am sure you will too. And, if you want your bucket to overflow, head over to http://secretsofpeople.com/ to read the discussion or add your own secret.